IEML is India’s first state of the art project for cottage sector wherein Round ‘O’ Clock International Marketing has been conceptualized.This state-of-the-art, multi-functional venue with a rare combination of technology merged with world-class facilities and safety standards is suitable for hosting international business-to-business exhibitions, conferences, congresses, product launches, promotional events and most predominantly act as a centralized contact point for overseas buyers and the cottage based manufacturer exporters for conducting business. 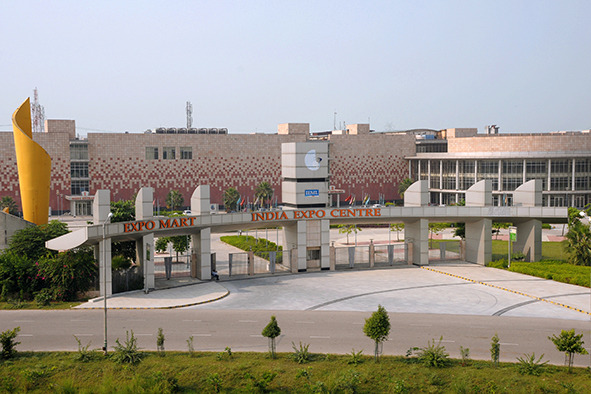 India Expo Centre and Mart is spread over 58 acres of land and has a unique combination of Trade Mart with Exhibition & Convention Facilities, Lawn, Business Centre, Restaurants, Transportation facilities and sufficient Parking Area for over 4,000 cars and 30 Buses/Trucks inside the complex. It is well linked to the main Ring Road of Delhi through 8 lane expressway. For more details, please visit http://www.indiaexpomart.com.